You can expect a magical day that reflects your hopes and dreams. Our greatest wish is for you to relax and enjoy your special day with family and friends. 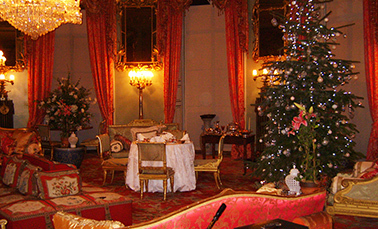 Full day hire of our historic state rooms. A choice of two rooms for your Civil Ceremony and drinks reception for up to 120 people. 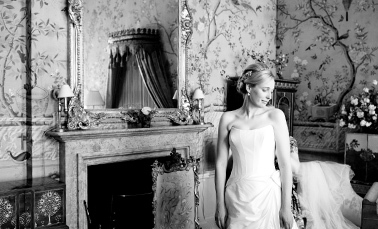 A beautiful suite of rooms for the bride to use for herself and her bridesmaids to prepare in luxurious style. 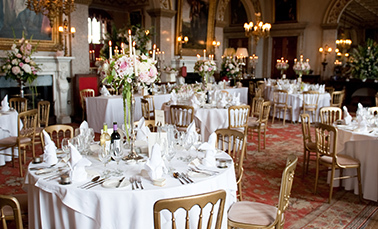 State Dining Room for up to 120 people to host a lavish wedding breakfast. An evening reception room and bar for up to 150 people. Wedding co-ordinator and Master of Ceremonies on the day to make sure everything runs smoothly. The Duke’s Ceremonial Sword to cut your wedding cake. The firing of the Duke’s 7 French Cannons. 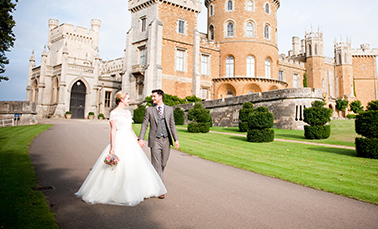 Private guided tours of the castle for your guests. We won’t forget about those little finishing touches, either. All the details that matter when you have bigger things on your mind: candelabras with candles on the tables, white or ivory table linen and napkins, personalised menus and place names. 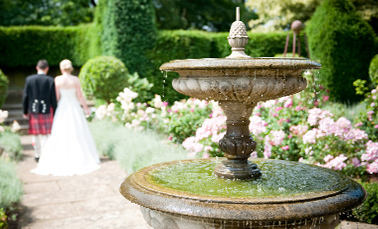 Our priority is making sure that you remember your wedding day for the rest of your life. You’ll find us enthusiastic and willing to transform your dream day into reality. What’s more, you can count on us for support with co-ordinating your event from the very beginning. 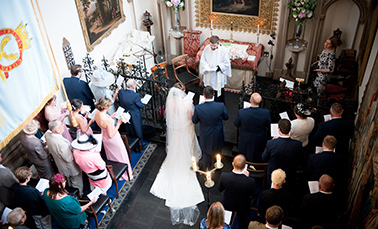 We welcome all faiths, religions and civil partnerships at Belvoir and have conducted many types of ceremonies over the years. You have so much choice. Our team is happy to recommend ways to entertain your guests throughout your special day – from popular discos to steel bands and string quartets, fireworks and carriages around the grounds. Please ask us about some very special ideas that will make your occasion even more memorable and unique. There are some finales that are hard to beat. What better way to end your day than for the Castle Piper to lead your guests out to watch the firing of the Duke’s Cannons by the Castle Cannon Master. It’s your special day, so we’ll do everything we can to make it memorable. Talk to our friendly team about any specific requests or preferences. Why not extend your celebration? Why should happy times with friends and family have to end? Keep the celebrations going and stay overnight. 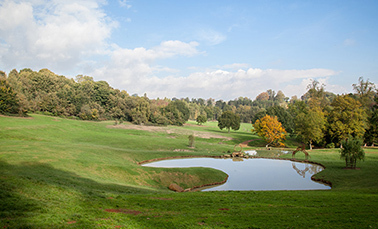 We have 14 rooms available, at the Castle itself and an additional 8 rooms at Croxton Lodge. We don’t really know where to start with this as words don’t seem to be enough to express how happy we were that not only we had the most amazing time at our wedding but that you and your team were more than anything we could have wished for. The castle was absolutely epic, quite literally everyone has told us what an amazing venue it was. Hiral has always wanted a wedding with a ‘wow’ factor and she certainly got it. Out of all the venues we saw nothing came close to how beautiful Belvoir is. We will definitely be coming back on a regular basis when there are events on in the future!